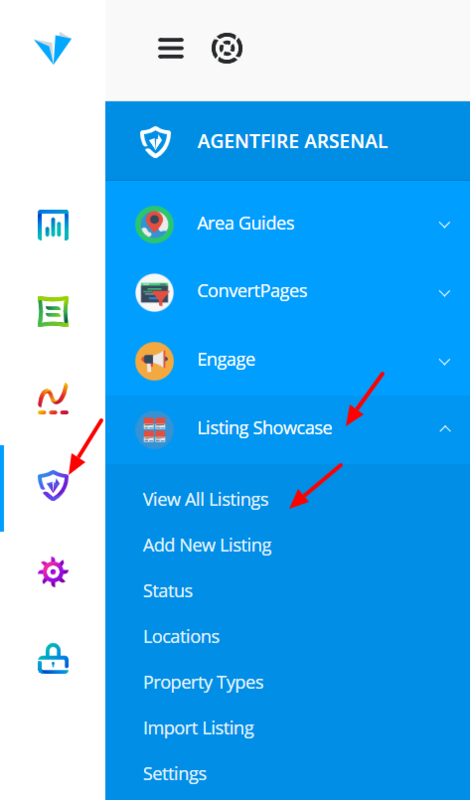 In this tutorial we will be introducing the AgentFire Listings 2.0 plugin and showing you how to navigate properly within it. Lets dive in! When activated, there are two areas within your dashboard that control this tool. First you will see on the left side of your dashboard AgentFire Arsenal and within it Listings Showcase. View All of your created listings in the "View All Listings" area of your Listing Showcase. In the status page, you will see we have already added the most popular property statuses for you! If you require additional statuses, simply add them by filling out the fields on the left. In the locations page, you will notice that it automatically pulls in your areas from your website. If you would like to add a custom area, simply add it by filling out the fields on the left. In the property types page, you will see we have already added the most popular property types for you! If you require additional property types, simply add them by filling out the fields on the left. Learn More about Each Section Type and It's available options in below.